Some Christians seem “all certainty.” Maybe it makes them feel heroic. But they see too few gray areas. Everything is a federal case. They have a fundamentalist mindset. Other Christians seem “all openness.” Maybe it makes them feel humble. But they see too few black-and-white areas. They have a liberal mindset — though they may demonstrate a surprising certainty against certainty. The Bible is our authority as we sort out what deserves certainty and what deserves openness. 1 Corinthians 15:1-4, for example, defines the gospel of Christ crucified for our sins, Christ buried and Christ risen again on the third day, according to the Scriptures, as “of first importance.” Here is the center of our certainty. From that “of first importance” theological address, we move out toward the whole range of theological and practical and worldview questions deserving our attention. The more clearly our logic connects back with that center, the more certain and the less open we should be. The further our thinking extrapolates from that center, the less certain and the more open we should be. When a question cannot be addressed by a clear appeal to the Bible, our conclusions should be all the more modest. The gospel requires us to have high expectations of one another on central doctrines, unmistakable views and obvious strategies, and it cautions us to be more relaxed with one another the further we have to move out from the center. Building our theology and worldview is not like pushing the first domino over, which pushes the next over, and so forth, down the line — each domino of equal weight and each fall equally inevitable. Rather, building our theology and worldview is more like exploring a river. We start out at the mouth of the river. It is wide. There is no decision to make. But then we start paddling up-river. As each tributary forks into the river, we must decide which way to go. 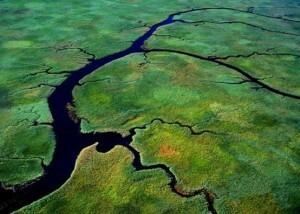 Indeed, it may eventually become difficult to distinguish between the river itself and a tributary. But many decisions must be made along the way, not every one equally obvious. This is why we need a map of the whole, noting the main features of the topography, such as 1 Corinthians 15:1-4 provides. There are other scriptures that help us globalize our biblical thinking in this way. For example, Exodus 34:6-7 is quoted multiple times throughout the rest of the Old Testament. Clearly, it is an atomically weighted passage that other biblical authors treated as a sort of theological North Star for guidance. There are other passages meant to help us improve our overall theological wisdom and a fairminded sense of proportion and legitimate expectations of one another. May we become more certain where we’ve been too open, and more open where we’ve been too certain, according to the totality of Scripture. And where it seems helpful to provide further definition on our own authority, may we do so with candor, gentleness and humility. 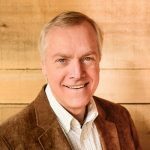 Ray Ortlund is senior pastor of Immanuel Church in Nashville, Tennessee, and serves as a Council member with The Gospel Coalition. You can follow him on Twitter. Renewal Ministries exists to spread gospel-renewal to weak people, through weak people, by the power of God. WHAT WILL IT TAKE TO BRING GENUINE REVIVAL TO THE CHURCH? SOME PLACES AND NOT IN OTHERS. In When God Comes to Church, Raymond C. Ortlund Jr. explores what the Bible teaches about revival. He explains what God can do to revive his people and what we must do to prepare ourselves for revival. 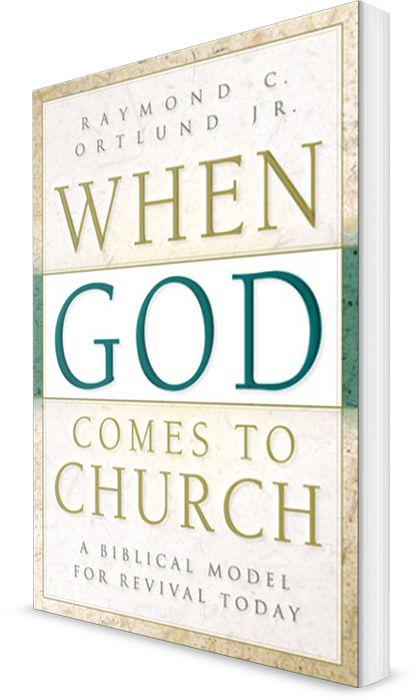 Ortlund's conclusions provide solid guidance for church leaders and lay people who long for renewal and revival from God." Enter your email address using the form below to get your free e-book by email.